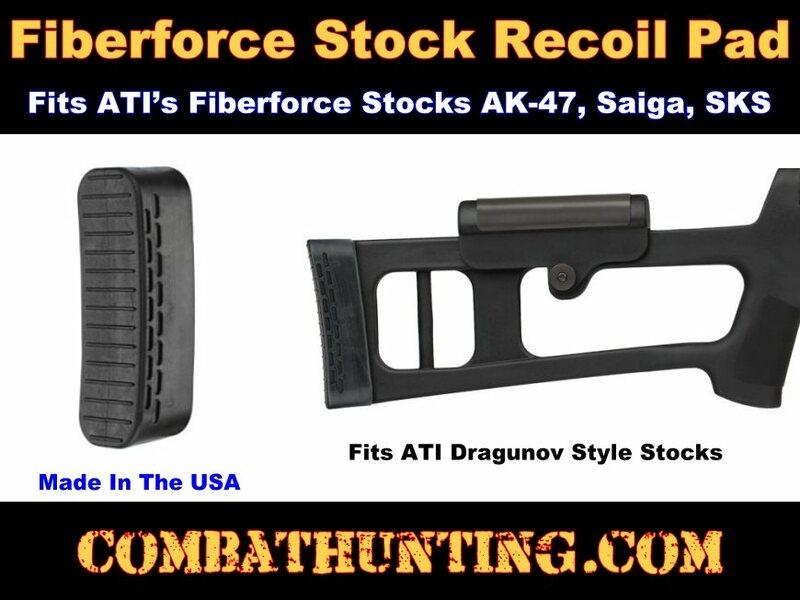 ATI SKS0550 Fiberforce Buttpad Fits Sks, AK-49 MAK 90, And Saiga Fiberforce Stock. Fits All Ati Fiberforce Rifle Stocks Dragunov Design. Simply Slip-On. Absorbs Recoil. Adds 1 Inch Length to stock.